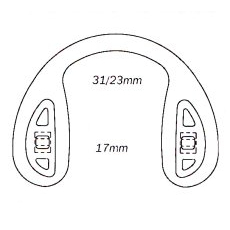 Strap or Saddle Bridge, evenly distributes the weight of the frame across the bridge of the nose. Held by a screw. Replaces nose pads.